2. If I am stopped by a police officer and he asks if I have been drinking, what should I say? This is a tough question to answer. You are not required to answer potentially incriminating questions. However saying that you have had one or two beers is not incriminating in that it is not sufficient to show you were driving OWI and it may explain the odor of alcohol. The best answer would be to ask to speak to an attorney before answering any questions. 3. Do I have a right to an attorney when I am stopped by a police officer and asked to take roadside tests? No. There is no right to an attorney until you are formally arrested. By the time an actual arrest occurs must OWI drivers have said and done way to much. In most cases, the police officer has already decided to arrest the person and is just using the roadside tests for additional evidence. It is often best to request a lawyer immediately when stopped and ask the police officer to note the time of your request on the report. Produce your driver license, proof of insurance and registration and not say or do anything further. 4. What is the police officer looking for during the traffic stop? 5. Should I take the roadside tests? Michigan law was amended in 2015 to change the requirements relative to roadside testing. They are now called “preliminary roadside analysis”. 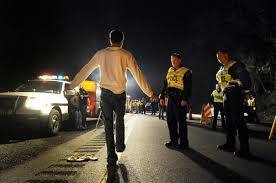 They include the on-site taking of a breath sample or performance and observation of field sobriety tests to determine if a person is intoxicated by drugs and/or alcohol. If you refuse to submit to the preliminary roadside analysis upon a lawful request of a police officer you can be issued a ticket for a civil infraction and there are possible driver license sanctions. The new law only requires a person to submit to one preliminary roadside analysis. Officers may continue to request additional testing, but a person cannot be arrested or cited for failing to submit to more than one test. 6. Should I agree to take a chemical test? If you refuse to take the chemical breath test you will likely face a license suspension. The driver license sanctions are tricky, costly and can be severe. It is ask to speak to an attorney before making any decisions regarding whether or not to take the test. There are substantial risks and benefits to either taking or not taking the test and you need the advice of an attorney before making that decision. The attorneys at LEWIS & DICKSTEIN, P.L.L.C. 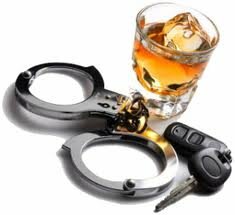 are the DUI lawyers in Michigan that are always available to answer your questions – day or night. 7. How do I find a qualified drunk driving lawyer? The answer to that question is do your research. LEWIS & DICKSTEIN, P.L.L.C. is a law firm that is solely dedicated to the defense of felony and misdemeanor criminal allegations in Michigan. 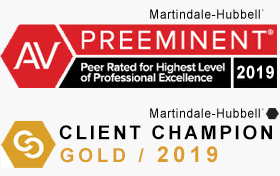 Our attorneys have gone the extra mile to become highly experienced in the area of defending OWI charges and we are well renowned for our effectiveness in court. 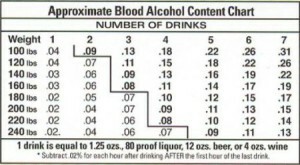 There is a lot of science involved in defending a person facing a drunk driving charge. 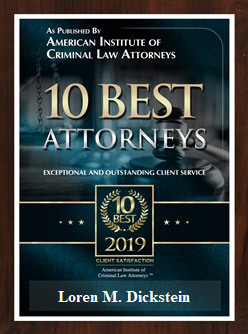 Our attorneys have worked with doctors, psychologists, scientists, former law enforcement and prosecutors to be on the cutting edge of drunk driving defense. We will always go the extra mile to protect our clients and assure that they get the help and defense they need and deserve. LEWIS & DICKSTEIN, P.L.L.C. are the DUI lawyers in Michigan you can count on. We are proud of our reputation for success. We are here to help and not afraid to win. Please call us at (248) 263-6800 or complete a Request for Assistance Form and one of our highly qualified attorneys will contact you.